Here at the Guff Emporium, we only specialize in select guff, with old guff mixed with new guff. That's a lot of guff indeed! Playing very much like Looking Glass Studio's PC hit Thief from the late 90's, Dishonored is played in nearly the same way. You must get from A to B however you can via 3 ways: Stealth, mixture of stealth and brutality and just sheer brutality. However, the more you play one way affects the ending. Do more stealth than killing? Low Chaos and the happy ending. Go on an all out attack? Here, have a bleak ending. The more chaos you do, the more weepers there are, and the more packs of rats that roam the streets, too. This keeps the game fresh, and ensures plenty of replay value. 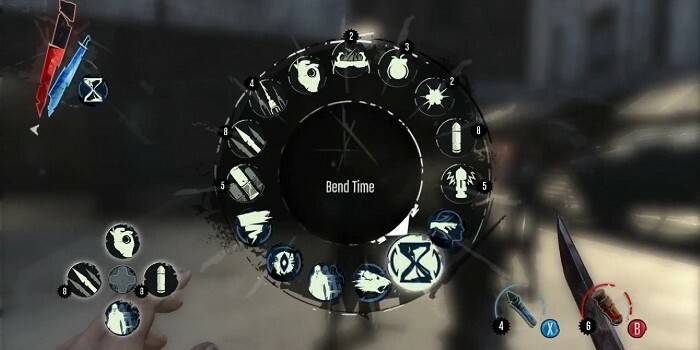 Along with this play pattern, you can also pickpocket people without being seen (again, something borrowed from Thief), and there are also multiple routes to get to your objective. Want to go over the roof tops? Sure. hide in the shadows and wait for people to go past? Go for it. You're afforded the freedom to play the game your way, ensuring non linearity. The AI is smart. Very smart. Once you've been spotted, the enemy will call for back up, meaning a lone guard can be helped by roughly 4 other guards, meaning fighting them all is suicide, and escape being your only option. Once you've been spotted, the guards will stay alerted. Even once the meter has calmed down (identified by 3 lightning bolts on each side of the enemies head), they'll still be quick to spot you, so you have to take them out quickly, or just avoid them at all costs. Along with this, you can upgrade your weapons, like the crossbow, increasing the range, and power of the weapon. One upgrade even adds another barrel to your standard pistol, making it double barreled, adding more firepower. On your travels through the game, you also come across runes and bone charms, which can be collected. This is after you're taken to a transworld plane, and meet The Outsider, who grants you the power to cast arkane magic, with powers like Blink, which allows you to zip from one place to another, Swarm, where you can summon packs of rats to aid you, Whirlwind, which blasts wind at your foes, knocking them from their feet, and possession, which as the name suggests, allows you to possess animals and, once upgraded, even people. Yes, even these powers can be upgraded too, allowing for more powerful abilities, like killing your foes renders them to dust, making the stealth path easier to tread. The game controls really well, with the button layout thought about methodically. Yes, you do have to do some combos, but it never feels haphazard in the approach. The game flows really smoothly, and you'll soon be stringing together Blink and either assassination or choke hold for unconsciousness like a pro. It really is a game to master, and figuring out the best route and approach is easily one of the best mechanics of the game. One neat feature sis the ability to hack panels for alarms (disabling them), wall of light (making them zap your enemies into dust instead of you) and arc towers (same as the tesla coils on C&C Red Alert 3), turning them to your advantage if there are three or more enemies in your way. All in all, its a fully packed game with about 6 hours of play time per path roughly. You should be able to pick it up quite cheaply, or go for the GOTY edition, with all the downloadable content included. 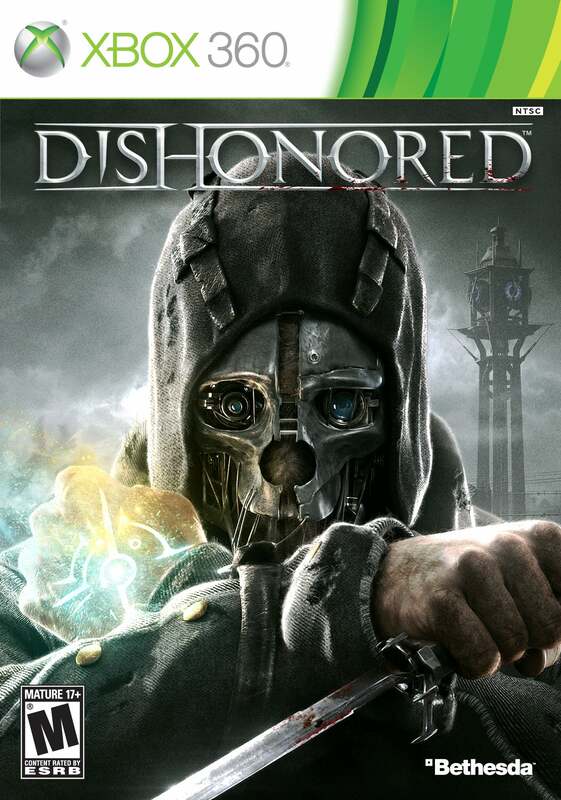 A game that leaves you wanting more, lets just hope there's a sequel, taking us back to the steampunk city of Dunwall, and letting us play the further adventures of Corvo. One of the best games of the last gen. Don't Miss it. Beware of The Master........and his sheep! Bringin back retro gaming in style! Follow Me.....but not too close! Me fings wot people 'ave read! Near Miss: 10 of the best Greatest Hits albums.